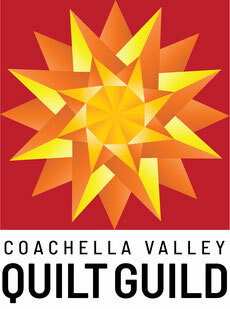 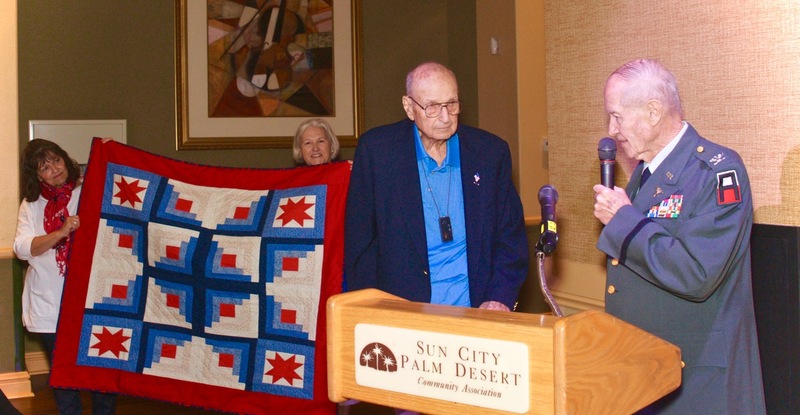 Sun City Quilters present Quilts of Valor to two of the veterans who live in the Sun City community. 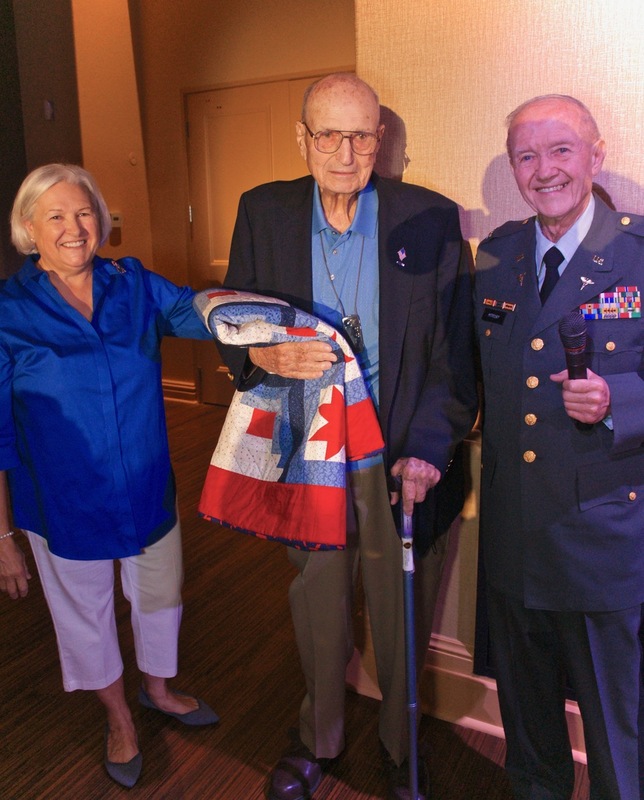 These quilts were presented on Veteran's Day 2017. 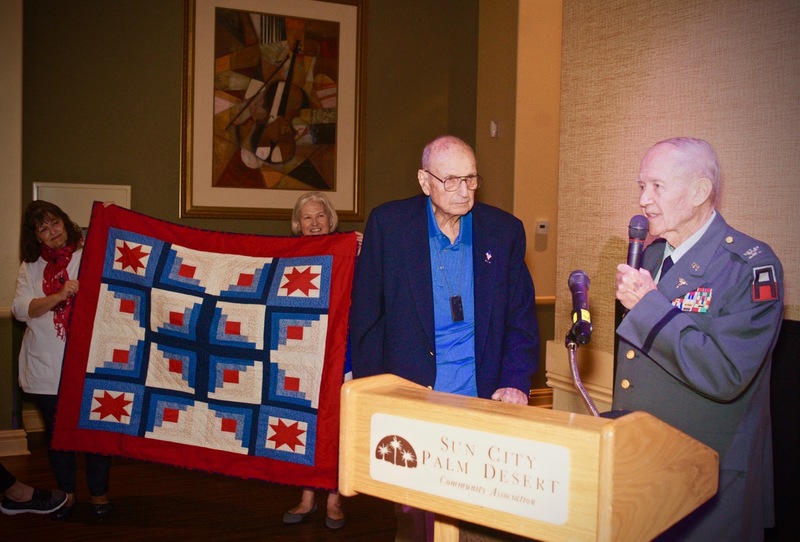 These photos are of Sy Kaplan receiving his quilt that was made by Phyllis Peterson.